The emergence of big data and disruptive technologies is fundamentally transforming our societies and impacting our everyday lives. Following the latest discussions at the 2019 World Economic Forum Meeting in Davos, digitalisation, artificial intelligence, robotics, and blockchain are framed as “new frontier” technologies that will boost productivity, create new jobs, raise living standards and help solve global challenges such as climate change and social exclusion. Yet, there is an increasing number of voices raising concerns about the long-term effects of data-centric societies on economic opportunity, gender equality, privacy and security that risk deepening the divide between those who benefit from new opportunities and those who are left behind. New technologies and data opportunities are equally disruptive in emerging and low-resource settings and provide both opportunities and risks. 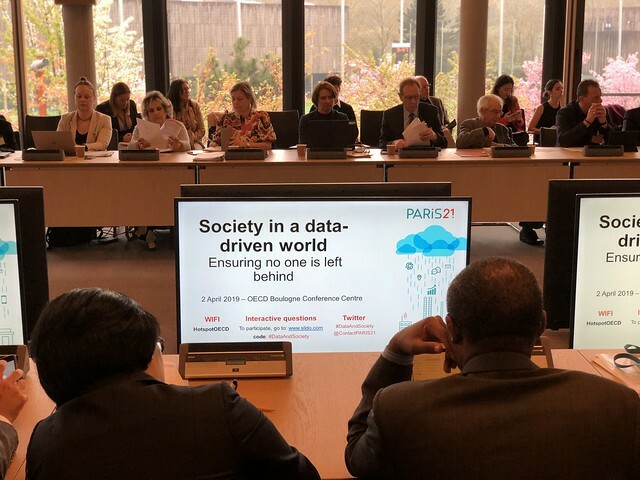 Following the data revolution, these countries have started to use technological innovations such as blockchain and big data, which have shown their usefulness in responding to crisis situations, offering better access to quality public services and opening access to improved financial instruments. At the same time, they risk deepening existing inequalities even further, as many segments of society face unequal access to these new possibilities. This conference will discuss the opportunities and challenges of digitalisation, disruptive technologies and data for societies and individuals, and explore how they can be used for better policy design. Please register with Laetitia.DEHELLE@oecd.org by Friday, 29 March 2019. This conference is organised under the auspices of the PARIS21 Annual Meetings.